The Large Round Natural Wood Mirror is a striking feature piece for any hallway or living room! 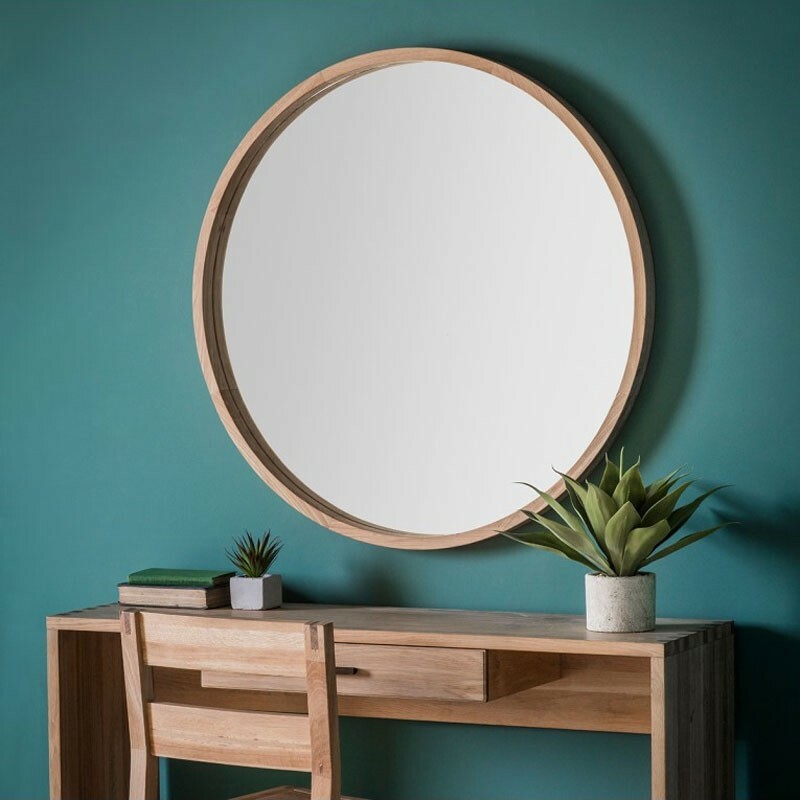 This whopping great big wooden mirror opens up any space, making it feel bigger and brighter whilst making a subtle statement. This large mirror makes an excellent addition to any living room or dining room, with its big presence.